Good Chemistry’s executives like to say that all cannabis is not created equal. They feel the same way about customer service. The Colorado-based company has discovered that building a successful marijuana retail business in a highly competitive market requires a dynamic and diverse approach to creating bonds with patients and consumers. That, in turn, has helped the company win new customers and strengthen loyalty among existing ones. Building connections with the community and educating new consumers about an oft-misunderstood product. 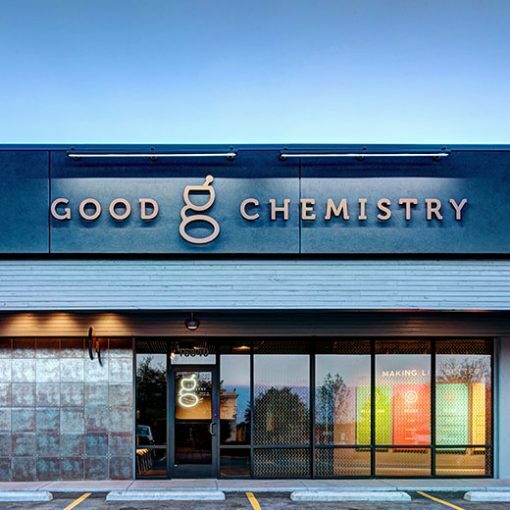 While many marijuana companies in Denver and other markets are trying to expand as fast as possible, gobbling up available retail and warehouse space isn’t a sure-fire route to success, said Stephen Spinosa, vice president of retail operations at Good Chemistry. The key component is customer service. “You can outpace your company culture very, very quickly,” said Spinosa, who trains and manages more than 100 employees at the company’s two retail stores in the Denver area, which serve both the recreational and medical markets. Spinosa shared a few ways Good Chemistry has been successful in connecting with customers. Not every consumer is a cannabis aficionado, and even connoisseurs can learn a thing or two about marijuana strains and related products. Hence Good Chemistry’s color-coded categories and its new consumer education guide. The four categories – relax (green), relieve (orange), sleep (blue) and amplify (yellow) – separate strains by their intended effects. This is a simple and effective way to educate new cannabis consumers, as it reintroduces the plant in language a layperson can understand. This strategy also is helpful for educating casual long-time users who don’t know much about the plant and are new to the state-legal realm of marijuana. Good Chemistry also created its consumer education guide – called S.T.A.T.S. (Sight, Touch, Aroma, Taste, and Sensation) – to share tips for evaluating quality cannabis. The pocket-sized print guide and its digital copy are light on branding. The last page credits Good Chemistry’s team and the back cover has the company’s logo, but that’s it. The move was intentional: Good Chemistry wants it to be a true guide that other retailers can use and share with their customers as well.